I don't eat nearly enough sweet potatoes. I know they are better for you than regular potatoes and packed with vitamins and such but I just can't get into them as a side dish. I like to keep sweets out of my main meals in firmly in dessert. Luckily they are perfection in a tin when baked into a pie. This recipe starts off with steamed potatoes and then makes a custard out of them using buttermilk which I imagine adds a delicious tang to the filling. She then folds in egg whites which lighten the texture. 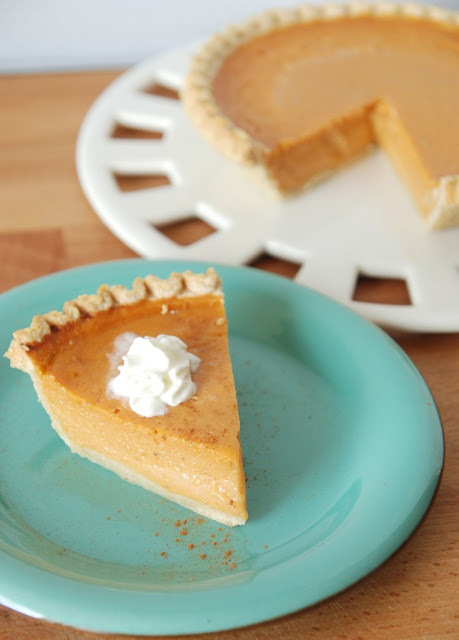 The perfect alternative to pumpkin pie! Check out the recipe (originally by some of my favorite Southern chefs, the Lee Bros) here at the Novice Chef.